If you are struggling to get your hands on the new iPhone then you can partly blame Coco the Alaskan Malamute - who has eight of them. 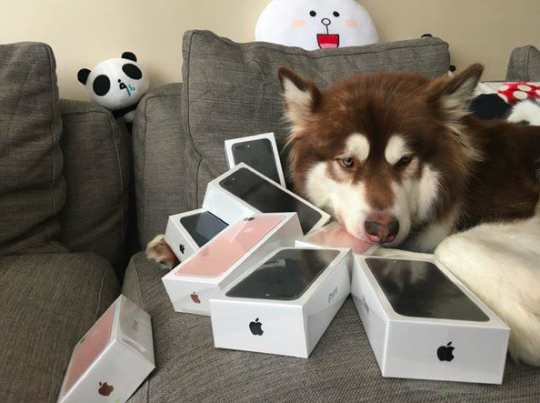 The pampered pooch posed smugly with his tower of iPhone 7s after Apple released the smartphone onto the world last week. 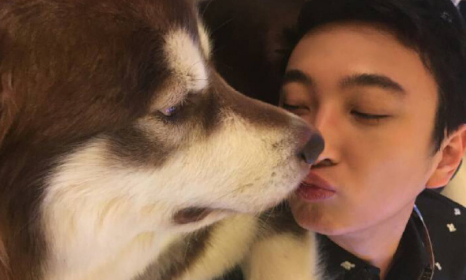 Coco is in fact the dog of Wang Sicong - who happens to be the son of the richest man in China. Wang posted the picture on Coco’s Weibo page, writing alongside: “Not sure what people are showing off on social media about. Wang seems to be a bit of a fan of gloating about just how rich he is - particularly when it comes to Apple products.